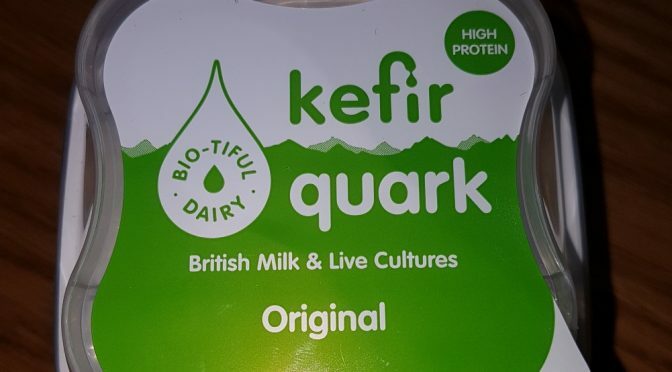 I found this new live culture kefir quark in Waitrose yesterday. Johanna Budwig promoted live fermented foods for the Budwig Diet. 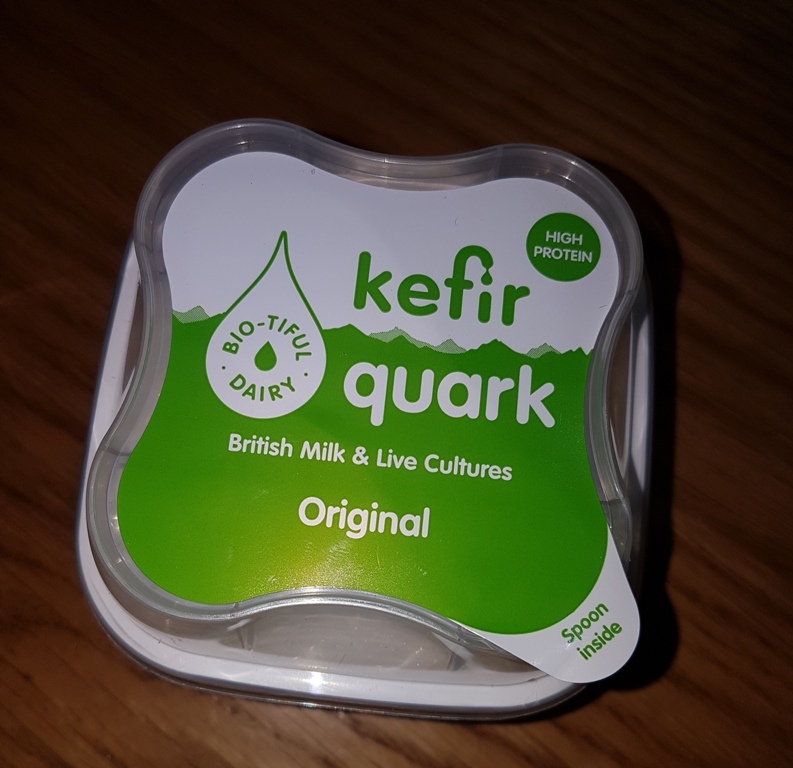 Kefir is milk fermented with a special broad spectrum culture. The bugs in this culture are good bacteria which promote a healthier gut biome so are believed to benefit the digestion, immune system and the health of the whole body. This has a lovely fresh flavour, a super texture, very low fat (virtually fat-free) and 12% protein which makes it ideal for the Budwig Diet. 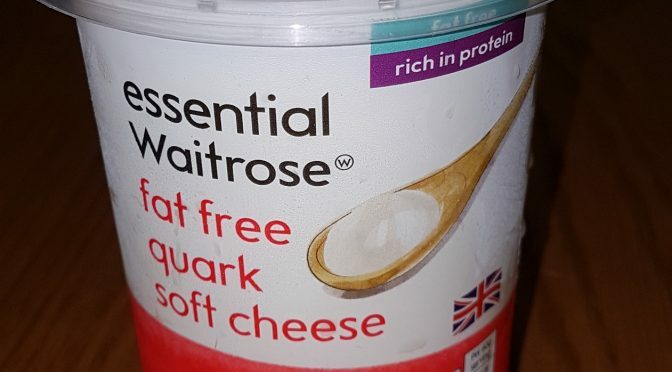 The downside is it is only in little tubs with a plastic spoon and is quite pricey but if you want a live cultured quark and don’t want to make it yourself this is a good option. Hopefully in the future it will become available in larger tubs. 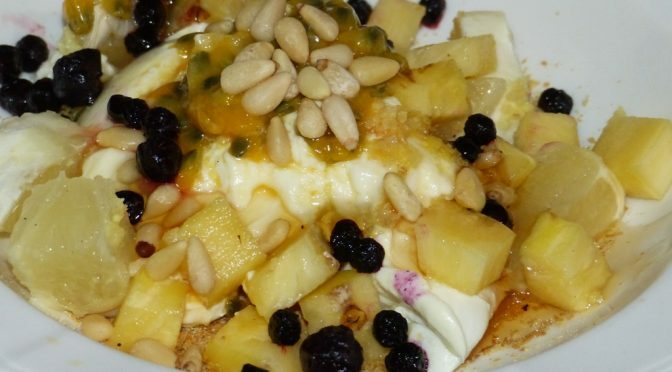 The Budwig diet is often called the Flax Oil Cottage Cheese FOCC diet because the cornerstone of the diet is thoroughly blended flax seed (linseed) oil and cottage cheese which is turned into a muesli with fruit, ground flax, nuts and honey added. 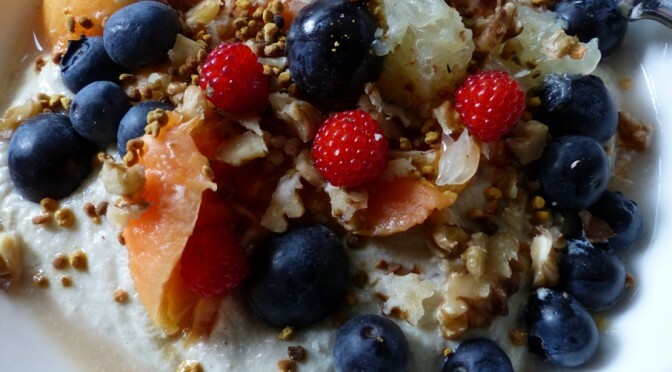 In her recipe for this muesli Johanna Budwig gave the recipe for quark to be used. It is a simple European cottage cheese, made in the home; it is much smoother and nicer for the Budwig muesli than British cottage cheese. 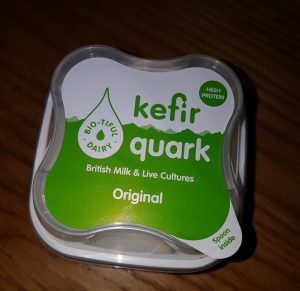 In many parts of Europe traditional home made quark used to have live cultures which makes it a healthier option. 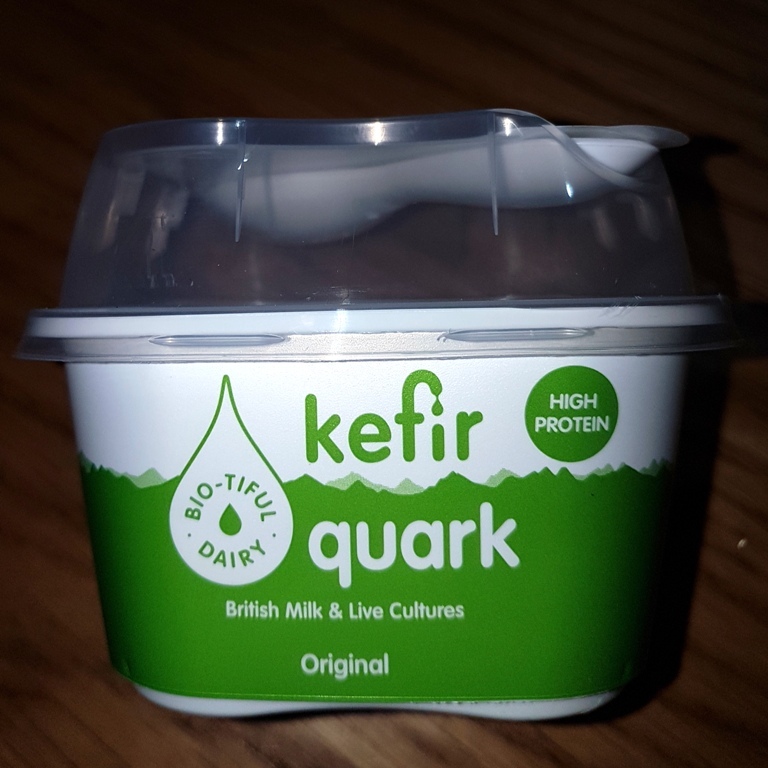 This Kefir quark made a lovely Budwig Muesli blended with Flax Farm cold-pressed linseed (flaxseed) oil. 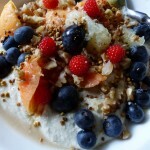 I made the Budwig muesli just the same way as normal. 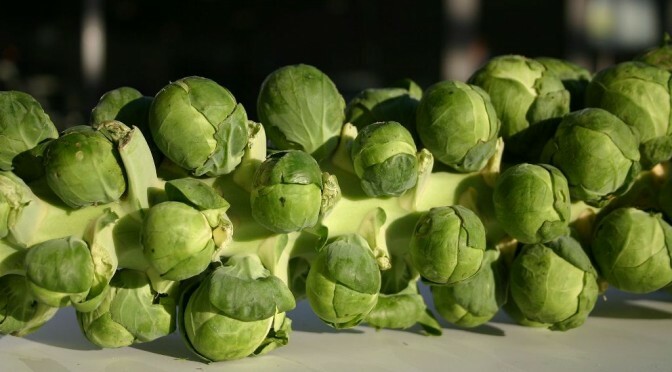 This is really a sort of rough coleslaw made with Brussels Sprouts – as they are in season it’s a pity not to use them. Finely sliced or grate all vegetables and place in a bowl. Next make the Budwig mayonnaise from a portion of linseed oil quark cream by adding a dollop of your favourite seedy mustard, a crushed clove of garlic, a tablespoon chopped mini dill pickled cucumbers, a good squeeze of lemon juice/ACV and enough fruit juice for taste (apple, parsnip and carrot is nice) and to make a soft mayonnaise consistency. Then stir the mayonnaise into the salad and top with chopped herbs, walnuts and/or colourful fruit – pomegranate looks brilliant and is in season. Here are some more suggestions for the Budwig Diet breakfast. 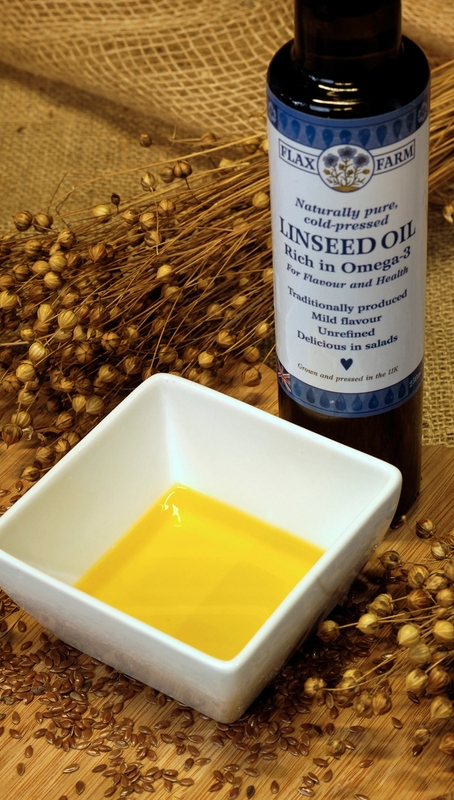 All are rich in omega-3, tummy-friendly fibre, minerals, vitamins and natural antioxidants. It is an essential element of the Budwig diet or a super-nutritious replacement for conventional breakfast cereals and mueslis for anyone trying to improve their health. You can vary it endlessly with different fruits, nuts, berries and spices. 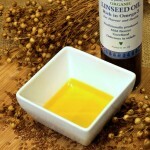 Grind the linseeds to a fine powder in a dedicated electric coffee grinder and place in a bowl. Add chopped fruit. 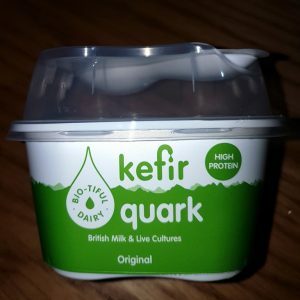 Mix the quark-linseed cream with any spices you fancy – cinnamon, fresh or dried ginger, vanilla extract are all good – add to bowl. 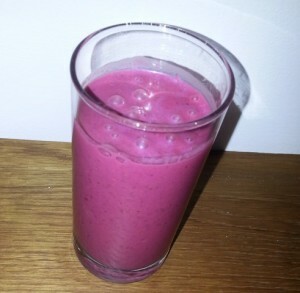 If you would like the cream to be softer simply stir in some skimmed milk or freshly-pressed juice and spoon over the fruit and ground linseed. Top with berries and nuts. 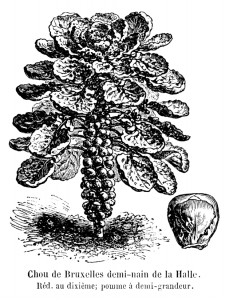 JB particularly recommends Brazil nuts, which contain lots of selenium, and walnuts. 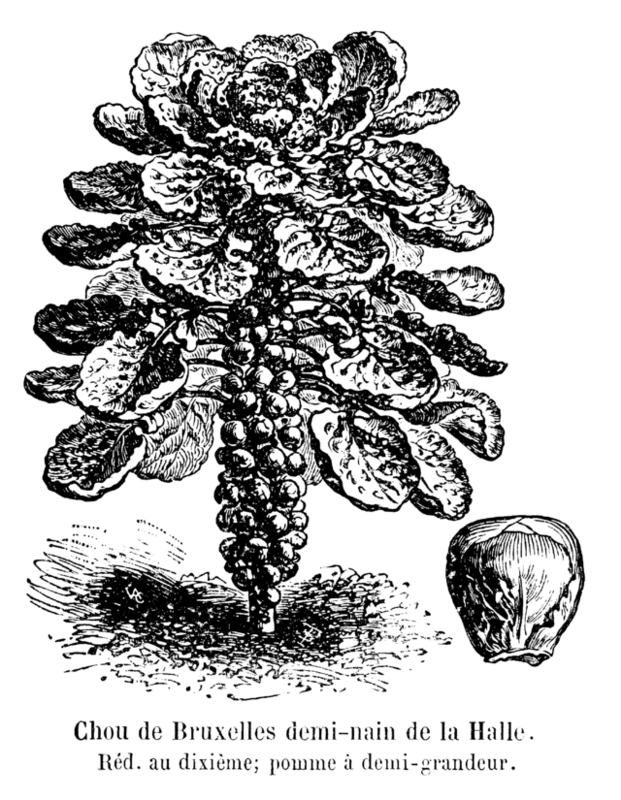 She also suggests pine nuts and unsweetened coconut which can be raw or shavings (but not sweetened). 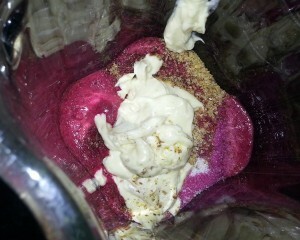 ground vanilla to the cream and ground cinnamon to the linseed, top with blackberries and hazelnuts. Multicolour Fruits: Gold linseed ground. Chopped pineapple and mango. 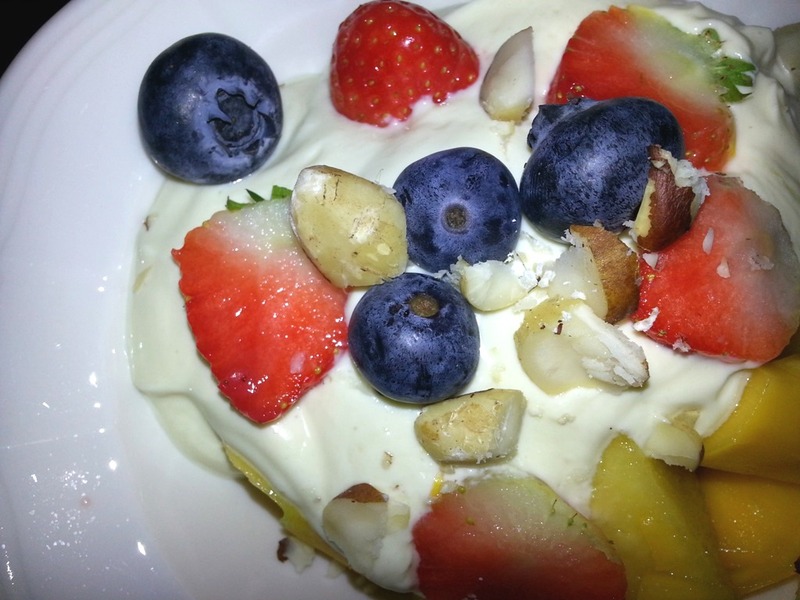 Add freshly grated ginger to taste, top with strawberries and blueberries, coconut shavings and Brazil nuts. Citrus: Golden linseed ground, 1/2 a chopped grapefruit, 1/2 banana, satsuma sections, cinnamon, fresh ginger and raspberries Brazil nuts and sliced almonds. 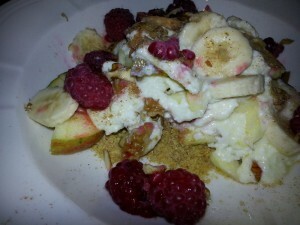 Eton Mess Use strawberries, raspberries and sliced banana. 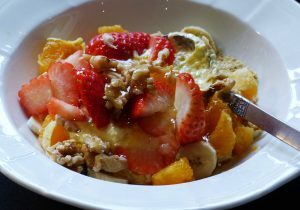 Add vanilla extract to the FOCC, top with berries and chopped macadamia or walnuts nuts. Trifle: Use chopped bananas and raspberries as the basic fruit, add a few drops of vanilla extract to the FOCC, drizzle the ground linseed with a little Amontillado sherry sweetened with stevia to taste, top with more raspberries, fresh red currants, if available, and chopped pistachios or very lightly toasted almonds nuts. Chocolate but not really wicked: Fruit chopped banana , add two heaped dessertspoons of cocoa powder to the FOCC and a little stevia powder to taste, top with the raspberries and lightly toasted almond flakes and chopped Brazils. Tzatziki with quark/cottage cheese/Greek yoghurt, linseed oil, lemon cucumber and mint. This is the most ridiculously delicious meal and very quick, cheap and easy. Bake a large potato. Mix the quark-linseed oil cream with a tiny pinch of salt, a little black pepper and small amount of finely chopped chives and use to top the potato. Serve with salad or cooked veg. Boil a portion of potatoes and when cool enough to handle chop/slice. 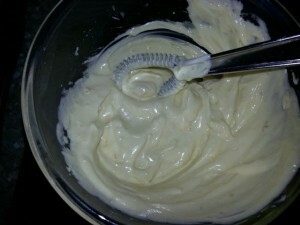 Mix a portion of quark-linseed oil cream with the juice of a lemon and 1 tbsp of apple cider vinegar. Add a a finely sliced onion, chopped chives, parsley and/or dill, black pepper and a pinch of salt and enough skimmed milk to made a creamy consistency. Mix into the chopped potatoes and sprinkle with paprika and/or a little cayenne pepper and chopped dill pickles. Waxy potatoes have smooth, dense flesh that holds their shape well when cooked. They work well in salads or simply boiled. Key waxy varieties include Charlotte and Jersey Royals but if you can’t get any of those, don’t worry, it’ll still be great with any potato. The goodness of beetroot and the tang of horseradish combine to create a bright, spicy, pick-me-up salad or sandwich filling: what’s not to love! 400 g beetroot. You can either cook the beets, until soft, peel and slice or dice; or shred/grate/julienne the peeled raw beetroots through a mandolin or food grater/processor. Mix all ingredients and serve with potato or leafy salad. It’s good in a sandwich too. As an alternative make this with celeriac or carrot. 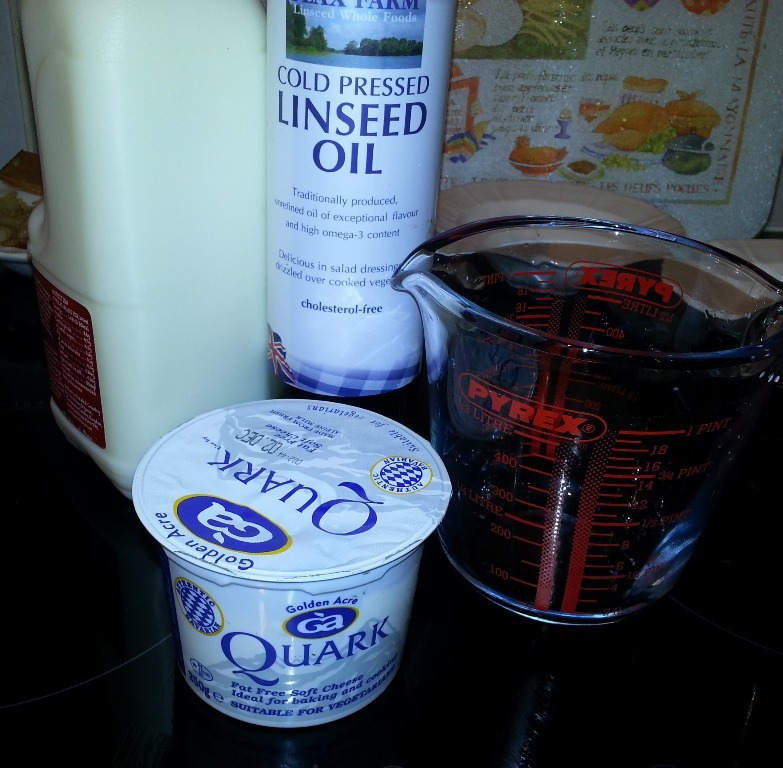 The quark-linseed oil cream makes an excellent base for a healthy mayonnaise that is every bit as good as the real thing. This is the basic mayonnaise recipe from Dr Johanna Budwig’s Oil Protein Cookbook. Blend oil and quark very thoroughly then stir in the rest of the ingredients. 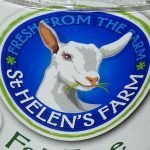 Use to top raw veggies or any salad, have on top a slice of bread or as a sandwich filling, use as a dip or as a relish or chutney with a bean dish or curry, use with a baked potato or mash – brilliant with salad potatoes. 2 tbs soft cheese, hard cheese, herbed cheese or even blue cheese.